Online ordering menu for Little Italy Pizza. 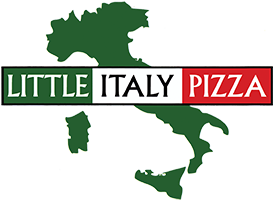 We serve many different pizzas here at Little Italy Pizza including Neapolitan Pizza and Sicilian Pizza. Try one of our specialties including the Chicken Marsala, Seafood Alfredo, or the Shrimp Scampi. We also serve wings, salads, calzones, and more! Find us west of James Madison University on Main Street. We're near Purcell Park. Order online for carryout or delivery!